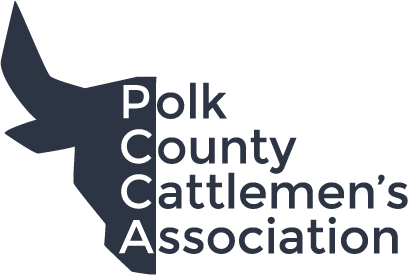 We are the largest cattlemen’s association in the state of Florida (a fact that we always like to brag about). We are proud of not only our large membership but the steady involvement of our members. We are at a time in our industry where we are experiencing record high cattle prices. This has been a long time coming and we as producers need to appreciate these good times and the others that help to make it possible. Cattlemen, and those associated in the industry, from the man delivering feed to the wives tirelessly preparing meals (and working in the cow pens) have worked hard to get us where we are today. We are proud to produce a quality product that Americans can freely enjoy. As you explore the web site you can learn a bit on our history as well as our mission for the future. Who knows? You may be the next member or President of this great association.